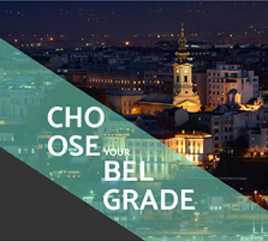 Situated in the very center of Belgrade. 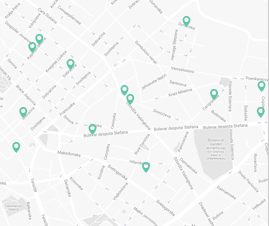 At the reach of your hand are all popular tourist attractions, as well as, the most visited restaurants and bars in the city. 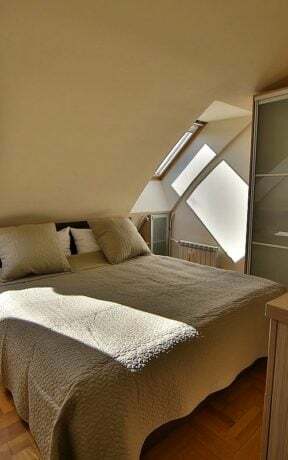 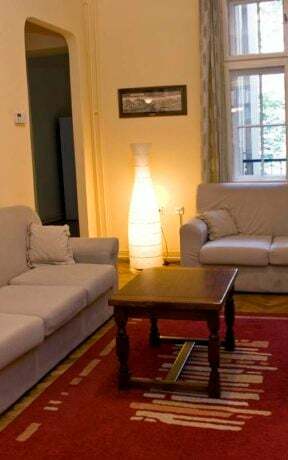 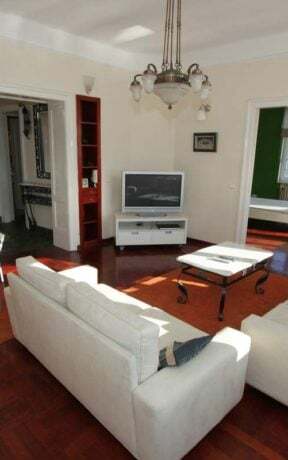 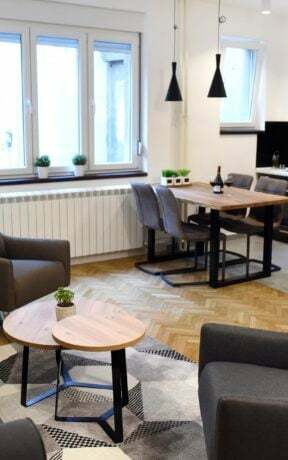 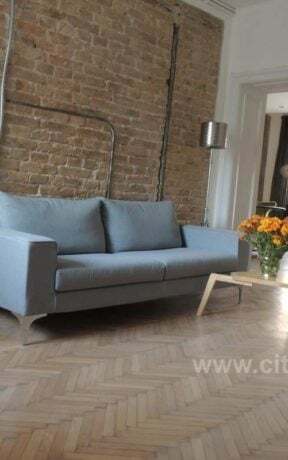 Loby Apartment is a bright, spacious, cozy and perfectly architecturally designed apartment in the very heart of Belgrade, in Vasina Street, between the Republic Square and Student Square, only 50m away from the pedestrian zone Knez Mihailova Street. 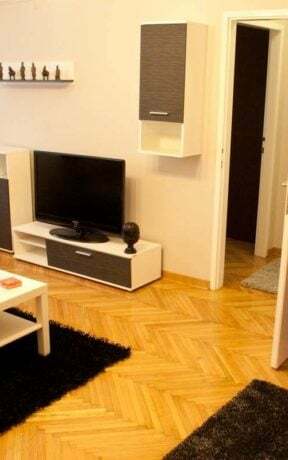 If you are a lover of minimalist design and aery interior, we are sure that you’re gonna love this apartment. 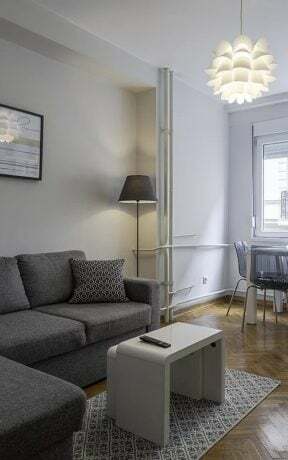 Imagine to stay in a prestigious location in Belgrade, in a luxury design and spacious apartment with 2 bedrooms, situated in a peaceful surrounding with large terrace where you can relax and chill from city hustle, enjoy breakfast, dinner or a glass of wine. 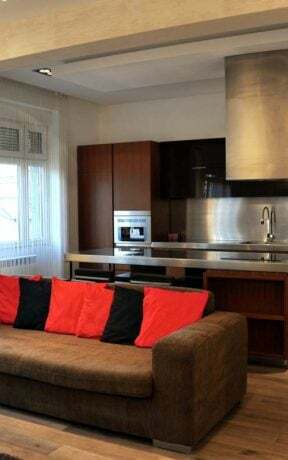 It is perfect choice for business travelers, families, couples and larger company. 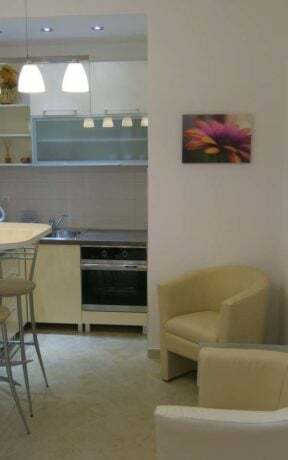 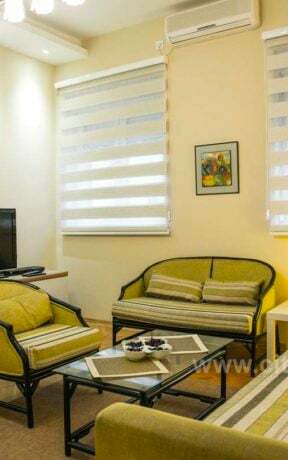 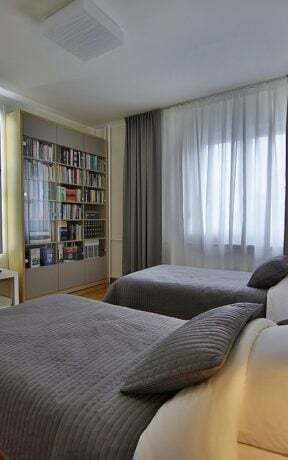 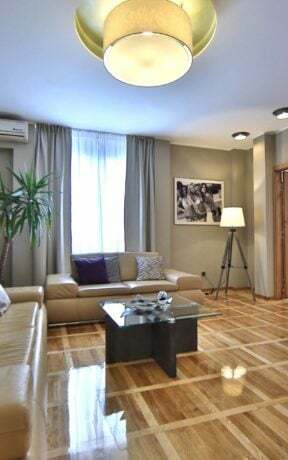 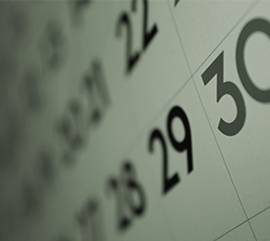 Apartment can accommodate up to 6 guests and it could be idea choice for you stay in Belgrade. 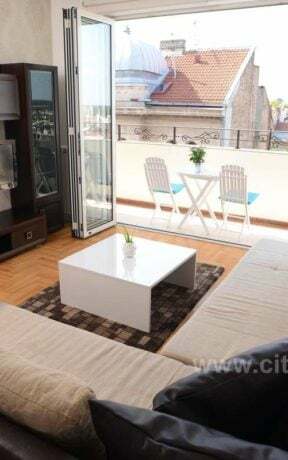 It consists of 2 commodious bedrooms, a living room with separate kitchen, bathroom and comfy terrace. 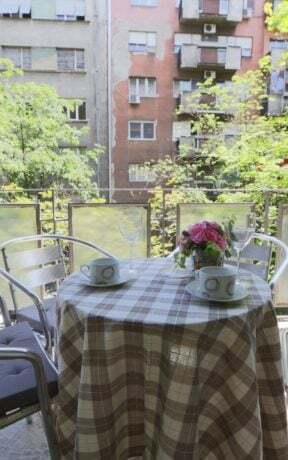 Loby Apartment is equipped with large wardrobes and space for storage thus it is quite suitable even for a long term stay in Belgrade. 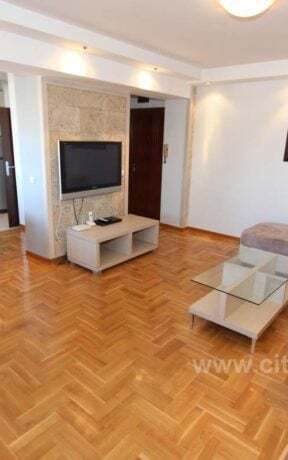 Apartment size: 85m2, Bedroom 1: king size bed ( for 2 persons max), Bedroom2: 2 x Single bed ( for 2 persons max), Living room: a comfortable sofa that transforms into big bed for 2, Kitchen: fully equipped and separated from the living room, Bathroom: luxurious, fully equipped, Terrace: 15m2, Towels and beddings are changes every 7 days or earlier in accordance with your needs.